Here’s the dilemma. You have a paint spray booth but the cost of painting is too expensive. Higher cost per square foot of coverage, higher labor costs and higher waste management costs. Do you want to switch to the more cost-effective and durable powder coating finish? Why wouldn’t you? It’s easier to apply, applies in one coat and has a wider range of finishes. Problem is, booths should not be used for both finishes and you can’t afford a whole new booth specifically designed for powder coating. Although a new powder coat booth is the ideal, we understand sometimes you’ve got to use what you have. 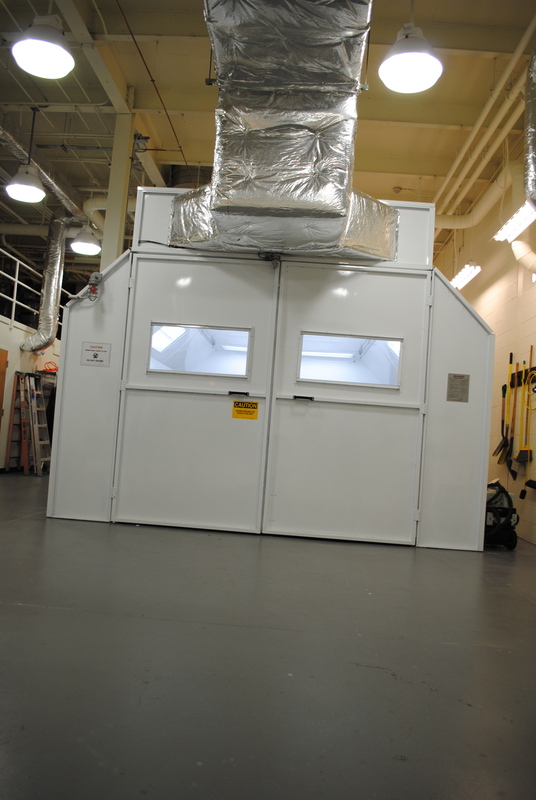 Here’s how you can easily convert your spray booth into a powder coat booth. · Change your filter panels from dry arrestors to two-stage filters. · Add an after-box to provide third-stage filtration and allow recirculation of exhausted air into the shop. · Change out your painting equipment (HVLP or similar spray guns) with powder specialized spray equipment that charges the powder during the feeding process to enhance coating. Lucky for you, Standard Tools has worked with numerous booth owners who have made this change, and we have done this process in our own shop! 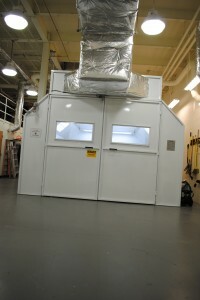 We can offer all the items you need to convert your current booth into a powder-coating booth…. filter grids, filters, after-filter box and spray equipment. Not sure if you should use powder coat? It doesn’t work with every finish or every product being coated, but it may be a good answer for your coating process. Call us to discuss your conversion needs. Our Sales team will gladly provide pricing so that you can compare a new powder coat booth with converting the existing spray booth. Purchased a 26′ reverse side draft booth from you. Thinking about converting to powder and want to see cost involved. Can you give Kelly a call at 888-312-7488 and we can talk with how you can do that! Do you mean converting your paint booth into a powder coating booth? One of our paint booth sales reps will contact you. If you want to speak with us soon, please give us a call directly at 888-312-7488.
all my research points to recirculating the air into the shop. is there a problem with venting powder into the atmosphere outside? You may want to check with your local authorities, but it all comes down to filtration. If you have the correct filtration and media … and you make sure to replace them when needed, you wouldn’t be exhausting powder anywhere as it would it be collected in your media.